Exactly what I wanted to add some color to my kitchen. The view is always beautiful with these exciting, eye-catching and durable rug. 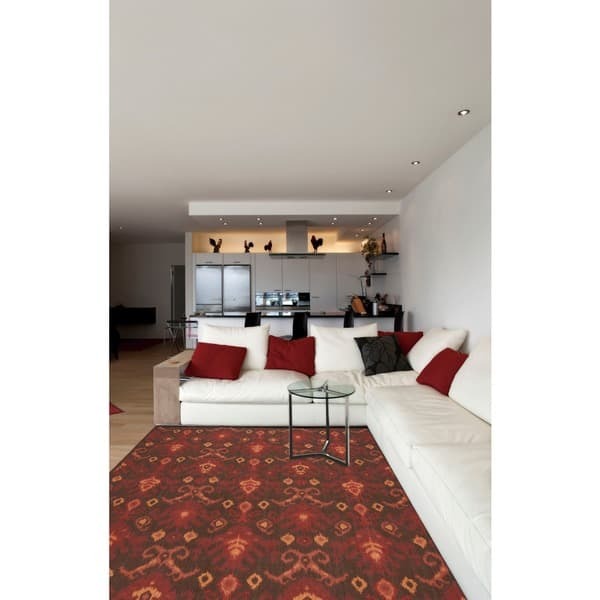 This rug features a heavy loop pile with Ikat design in striking colors. Bring a vibrant focal point into any interior with this attractive rug. The digital images we display have the most accurate color possible. However, due to differences in computer monitors, we cannot be responsible for variations in color between the actual product and your screen. Image shown is representative of specific size of the collection. Actual pattern may vary slightly depending on size order of the rug. Please refer to the text above for a description of the colors shown in the photo.